Fortitude is a Sky Atlantic produced television series starring Stanley Tucci, Michael Gambon, Sofie Gråbøl, and Richard Dormer. Season One runs roughly ten hours over the course of 12 episodes. Fortitude is an inventive hybrid between a procedural mystery and an eco-thriller. The story takes place in a remote Norwegian Island community, which only adds to the foreign and isolated feel of the show. As the show opens, the small and relatively closed community is shocked by the death of a visitor. Fortitude has a “law” on the books that denies folks the right to die on the island, so the villagers are not accustomed to being so close to death. In this case, the victim was mauled by a polar bear. Simultaneously, two children out for a day in the snow stumble upon the jawbone of a Mammoth. Their discovery sets off a chain of events that eventually involves multiple factions of people struggling for power and control. One of those folks, Professor Charlie Stoddart (briefly played by Christopher Eccleston) ends up dead and much of the central focus of the series involves figuring out how and why he was killed. As so often happens with television shows set in small communities, the town of Fortitude has no shortage of eccentric individuals – many of whom have secrets they would rather keep hidden. Getting to know them is one of the joys of the series and more than a few of the backstories include unexpected and original twists that will keep viewers on their toes. All in all, Fortitude has about two dozen important characters – perhaps a few more than is strictly necessary given the limited length of the season. Because of this, some of these characters are not as well developed as one might like, however, there is always hope that Season Two will rectify that. In particular, the final episode felt a bit rushed and I wish the creators had tweaked the structure a little to allow for more time to flesh out the huge developments that occur towards the end. Rest assured, the strength of the episodes leading up to this finale more than make up for this oversight. 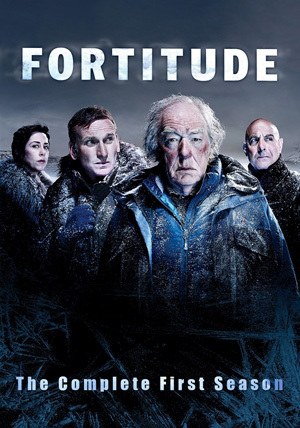 If you are a fan of television crime drama, Fortitude is worth checking out. I can honestly say that it is quite unlike anything else I have seen on screen before. Beautiful to look at, it is the unexpected storyline aberrations that hook the viewer and won’t release until answers are had. This is not to say that all my questions were satisfied, but Season Two should quickly resolve the few lingering threads from this debut season. I expect that each season of Fortitude will be about the weird juxtaposition between crime, science, and society. Disclaimer: Blu-Ray version of this show was was provided to BOLO Books by the publicist. No review was promised and the above is an unbiased review of the television show. Oooh! I’ve been meaning to check this one out!! It’s is really interesting, Jenn. Very different than most crime shows. 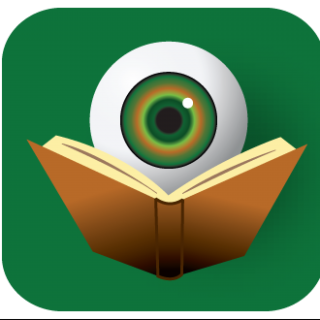 Knowing that you love horror, I think this will be right up your alley. If you decide to watch this make sure to set aside the proper amount of time to do so. Once you start you will not want to stop. Each episode will draw you into the next!